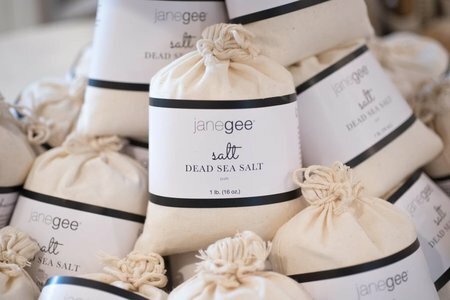 At janegee, we believe there are as many skin types as their are people. Instead of classifying yourself into one of the the traditional "skin types", we like to think of skin in terms of conditions; Rashy, itchy, red, blotchy, sensitive, etc. We focus on the problem to be treated and set about getting the information needed in order to select the right products. Our philosophy is that no two skins are alike. Your skin changes according to your health, your environment, the climate, the food you eat, dietary changes, etc. It’s even possible to have multiple skin conditions at once. This is why it’s so hard for many people to find a line of products to help all of their concerns. 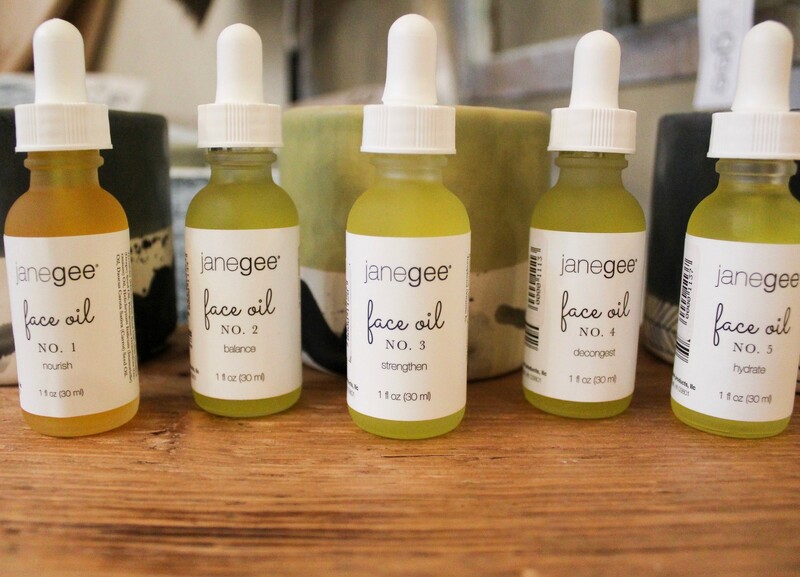 Here at janegee, we don’t classify our products into skin types. We look at and treat individual conditions, so each person can have a customized routine to help their skin. The goal is to get your skin healthy and strong, so it does all the work for you. We love that glow that comes from within and makes your skin shine! 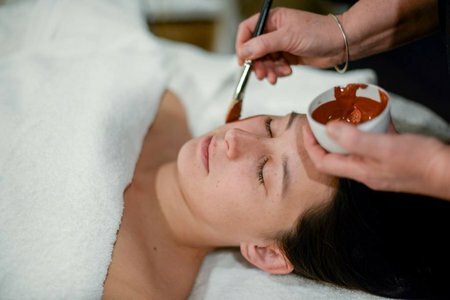 In order to properly understand what your skin type is and how to treat it, it’s best to see a skincare professional. We love to educate you on your skin, how to take care of it, how it works, and what to eat to make it healthy. We believe the less you do, the better. Everybody should use a good cleanser daily, and a weekly detox. You detox your body so why not your skin? Others may need to add a treatment and/or a moisturizer, but that’s it! Treat your skin kindly, don’t scrub, use peels or any invasive treatments on your skin. These will strip your skin of its natural oils, weaken capillaries, and speed up the signs of aging. Nature designed us perfectly. Your skin knows what to do. It will exfoliate all by itself, it even has its own SPF factor. When you take care of your skin properly, it will do all the work for you. Here are some suggestions for products you can use to address your concerns. Use this as a guide to build a good routine for yourself. If you have any questions, come in to see us, or simply give us a call, we’re happy to help. Clear Skin - Great for oily and problem skins, but can be used by most skin types. Clear Skin will balance oil production, cleanse, and moisturize your skin. Cleanser No. 1 - Great for normal and dry skin that doesn’t have any congestion. A rich milk cleanser filled with antioxidants. This cleanser will help repair, rejuvenate and hydrate your skin. It will also help reduce wrinkles. Cleanser No. 2 - Great for normal and dry mature skin. This is an anti aging cleanser that will help to maintain the surface integrity of your skin, which is important as we get older. Eye Oil - Filled with Vitamin C and E Oil and Helichrysum Essential Oil, the Eye Oil helps with dark circles, fine lines, and puffiness. Blackhead Remover - A gentle and effective way to dissolve clogged pores and leave the skin clean and refreshed. It works great on both black and white heads. and Cypress oil will help dissolve acne and congestion within pores. deeply cleanses and moisturizes your skin while loading it with vitamins and antioxidants. dull skins that lack minerals. Bulgarian Rose - Hydrates and soothes dry or sensitive skin. Great for all skin types. Jasmine Rose - Hydrates and moisturizes dry skin. Balancing Oils - Heating and cooling oils help balance your skin’s tone and texture. 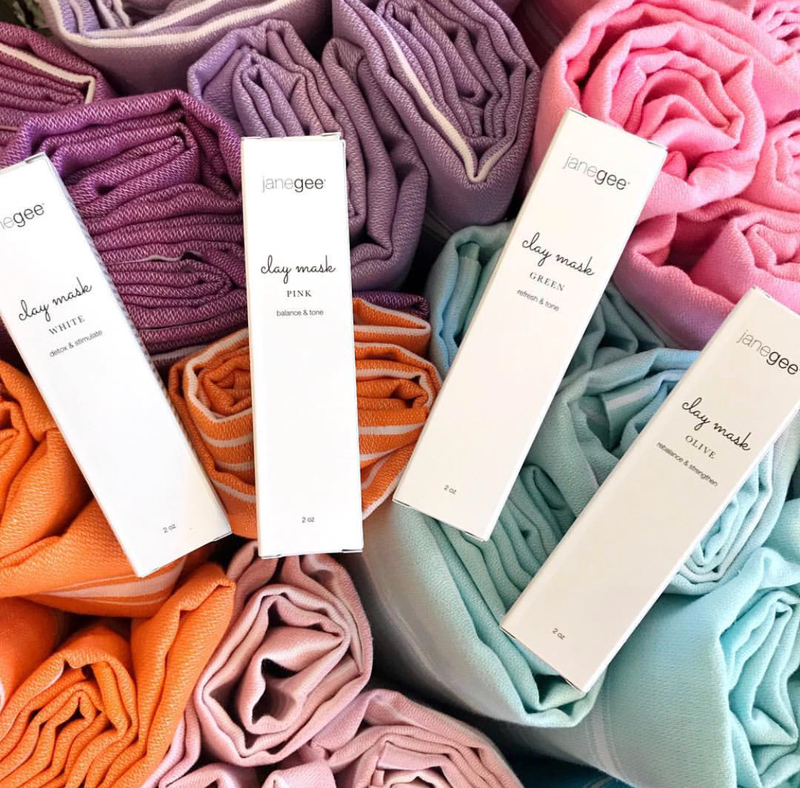 They help repair, renew, and strengthen skin. skin’s tone. Stimulates blood and lymph to detox and provide anti-aging benefits. Elixir - An amazing anti-aging serum made with Vitamin B3, Vitamin C, and Hyaluronic Acid. The Elixir hydrates and nourishes your skin, protects against transepidermal water loss, and helps repair skin cells. The antioxidants found in this serum will work to reverse sun damage, remove discoloration, and help to get rid of pigmentation. Clear Skin - Great as a cleanser, treatment, and a moisturizer. Press into your skin after cleansing and leave on throughout the day to have clean, hydrated skin. Vitamin Creme - A high concentration of Vitamin C and a blend of natural oils strengthen and detoxify your skin while also helping to treat signs of aging. It’s an ideal moisturizer for day and night. Great for mature skins with no congestion. Green - Great to balance redness in the skin, while absorbing and removing impurities. hydrating and soothing the skin. Works well for most skin types, great for sensitive and mature skins. Olive - This clay will balance the oiliness of the skin, assist in smoothing the appearance of the skin, and is the strongest detox clay. This clay works best for acne and oily skin types. White - White clay provides a fresh and youthful glow. It energizes and brightens the skin, leaving it feeling hydrated, toned and tightened. Great for both dry and oily skin types. Marine Mask - 100% pure Brown Bladderwrack Seaweed, fresh from the Atlantic Ocean. It’s known for its mineral, vitamin and amino acid content. It’s hydrating, soothing, and calming to the skin. Your skin will be left feeling moisturized, smooth, and supple. The best part is, it’s safe to use daily! Stop using the products that weren’t designed for you. Stop scrubbing, peeling, toning, and brushing. Imaging the time and effort you will be saving by getting rid of all your unnecessary items and reducing your routine to just 3 or 4 products… Now that’s empowering.